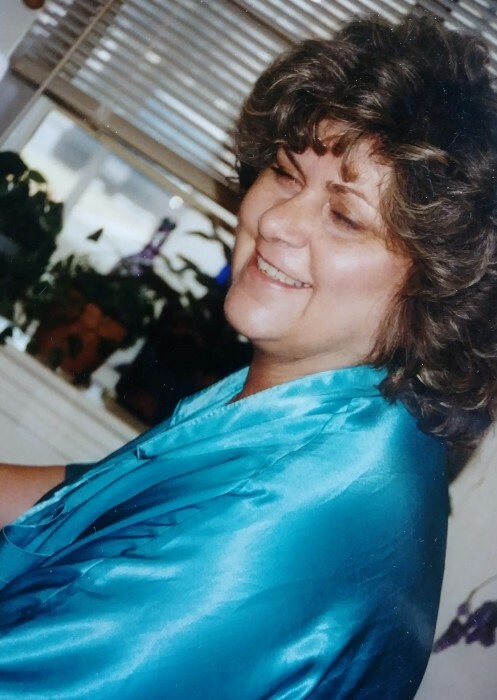 Ms. Cynthia Kay Jones, age 73 of 292b Cedar Lake Rd., Chapel Hill, NC passed on Sunday, February 10, 2019 at UNC Hospice in Pittsboro, NC. Cynthia "Kay" Jones transcended from her body on Sunday February 10th at approximately 10:30 a.m. Born in Zanesville, Ohio on July 2, 1945, she lived to be 73 years old. She was ready to go and her heart finally stopped beating after having been held so gently by UNC Hospice Center (Jim and Betsy Bryan Hospice) in Pittsboro, NC. She had struggled for many years with a complicated medical history. She had lived in Chapel Hill, North Carolina with her cats (Bello and Micho) next door to her daughter Cindy Jones and her "so-n" Jeff Lindsey (he was Cindy's Significant Other, but she called him SO-n) for 12 years. She was lovingly attended to by her grandson Daniel Chase Jones Richardson during the process of her transition. Many friends and family were with her steadily,..but when she was ready..she chose to actually cross alone. Passing from this life to the next dimension is a very personal matter. She didn't have a religious belief but as her grandson so profoundly stated "FRIENDSHIP WAS HER FAITH". Despite having a long bout of medical complications in the last stages of her life, she was noted for her lack of complaints. She was well loved and cared for by her medical care team at UNC Family Medicine. This stellar team of Kathleen Barnhouse MD and Rehaan Adams kept her spirits boosted the past few years and made the medical reality bearable. She was particularly appreciated by her friends and family with whom she kept in touch over the decades despite her lack of easy mobility. She was known as someone who picked up a conversation even if it had been years since she had seen someone. She was loving and accepting, a true friend who listened without judgement. She definitely had strong opinions about things and spoke her mind, but when she was being a friend, she was "all there" and anyone who came away from a conversation, came away feeling heard and somehow better despite the issue at hand. In her younger years, she worked as an executive secretary with a top secret clearance and meanwhile also raising two teenagers! She is remembered as the equivalent of "Pepper Potts" (the beautiful and hyper-efficient side kick of Tony Stark..aka Ironman character) as she worked for Northrup Aircraft in California. She made sure that serious work got done and that there were also frequent celebratory office parties. She was well known for her personalized handmade gifts she made for each staff member during Christmas time. There are many family and friends remaining who will feel deeply her bittersweet transition. Her daughter Cynthia (Cindy) Dawn Jones, her grandson Daniel Chase Jones Richardson, her sister Myrtle McCoy, her brother-in-law Lee Perrine, her nieces/nephews Karla (and Jerry) Cole, Gina (and Roger) Iden, Randy (and Melissa) McCoy, Vicki Gibson Ellis, Brenda Gibson Mills, Dusty (and Rita) Perrine, and Andy (and Pam) Perrine, Maurice (and Maggie) Naragon, Troy (and Carla) Naragon, Erin Naragon-Gillaspy, great nieces/nephews - Sarah-Ashley, Lukas, Mason, Malise, Mike, Lori, and Jeremy. She had family "of circumstance" after the very sad passing of her son Shane. The family of Susan and Barry Richardson and their daughters Katy and Ashley swooped in during such a dark time and added us in their arms and extended a family branch to shelter Chase and ease the heartache left behind when Shane died via suicide. Cynthia had dear friends in North Carolina whom she considered her family of choice, Ledora and David Hackney, Marianne DeSua, Barbara Archer, Sandy Austen, Doncella Laney. Her loving caretakers were Cummie Davis, Erin Brooks, Arlene Fuller. The amazing transportation services of Chuck Morton, who's last minute rescue of bringing Chase from the train station brought deep joy and peace to her in her final hours. She had many friends in other places such as her Cal Gal Pals, Pat LaRossa, Sally Rush, Joan Fowles, and Mary Higley, her beloved sister-in-law and dear friend Brenda Naragon, and her long time friend Garnett Jones in Ohio.She had a loving neighborhood tribe too. These folks under the kind umbrella of landlord Fran Holland, included Ron and Gloria Brooks, Hazel Keck, Carla Oldam, and Polina Danshina. All were part of the peaceful sunny place she spent her last years in safety and beauty. There will be a Celebration of Transcendence on Saturday February 16th at 4 - 7pm at the residence of her daughter Cindy Jones 292 Cedar Lake Road Chapel Hill NC 27516. Any who wish to participate, can drop by for hugs and to share some laughter and tears and memories. For those who are just out of reach physically, we will be streaming this gathering. AT THE STRIKE OF 5 PM EASTERN STANDARD TIME, we will take a powerful moment in ceremony. We ask ALL who have known Cynthia (or are connected to those who knew her) to take the moment in Unity of meditation and prayer and breathe deeply, to release and celebrate the life of this remarkable warrior of life, laughter, and love. Just as we come together for events in the heavenly bodies, a solar eclipse or a comet, so too, we are requesting that all who read this take a moment to breathe as ONE. The intention is that this moment of silence would be heard and felt far more loudly than a 21 gun salute. Cynthia saw the light in people even amidst their shadow. She listened and loved deeply. She lived her life in the manner of a beautiful quiet poem, ...a living poem of few words, but deep meaning and resonance. She was a warrior of life, laughter, and love. She taught her daughter and others that love lives on and transcends boundaries of space and time...and now even of her body. We would accept support of flowers and cards to 292 Cedar Lake Road Chapel Hill NC 27516, but also memorial donations in her honor and for her son Brannon Shane Jones can go to The Suicide Prevention Group under Dr. Frank Campbell. To better understand the work of Dr. Frank Campbell and for incredible resources on prevention, postvention, and education regarding suicide, please visit www.lossteam.com . Professional and kind services were provided by Knotts Family Funeral service of Pittsboro NC.